The indigenous inhabitants of the Cape of Good Hope have harvested honey Bush Tea for over 300 years. Growing close to the fairest Cape of Good Hope and stretching from the east to west coast in this unspoiled, natural paradise, the Honey Bush plant belongs to the Cyclopia herbal family and is harvested during the spring season. After harvest Honey Bush leaves, stems, and flowers are cut and oxidized naturally. During the fermentation process, Honey Bush cuttings change color from green to dark brown and develop a sweet aroma. 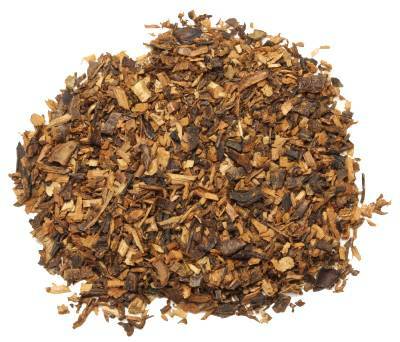 The caffeine free Honey Bush Tea is rich in anti-oxidants and nutrients. It also contains anti-spasmodic, anti-inflammatory, and anti-viral properties. 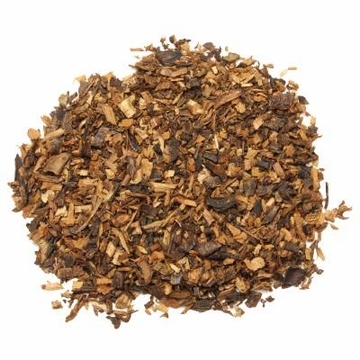 When brewed this tea is naturally sweet, with a pleasant, mild taste. Try our Organic Tea Sampler. A Great Value! Recommend using the Smart Tea Maker for brewing this finely cut tea. Thought I'd give this a try due to the health benefits, but have also been very pleasantly surprised with the rich yet smooth flavor. This is on my hit list now and try not to go a day without it! Honey Bush makes an excellent drink. I also drink Rooibos but I prefer Honey Bush. I also add other things to it like green tea, black tea, cinnamon or hibiscus flowers. Honey Bush by itself or with other things added, either way it is the best. 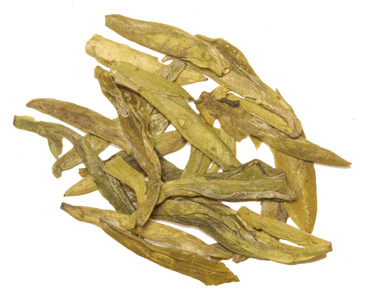 Rich honey colored tea that is a delicious stand alone tea. 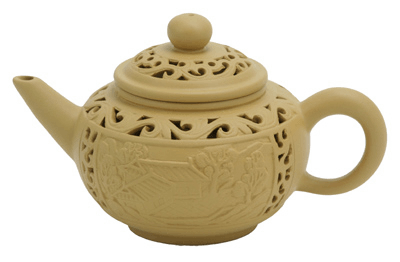 I do love to blend with Dragon Jasmine Pearl tea and it is out of this world. Fabulous! First time trying Honey Bush and I rather like it. It does have a faint honey taste. If you're looking for something to mix with another fruity tea, this is something you gotta try. Goes pretty well with Hibiscus. 17 bucks for a pound is a great deal for the quality. This is my go to tea for evening since it has no caffeine it has wonderful honey sweetness to it and a mild fresh woodsy flavor with to it, which reminds me of autumn and harvest time. The name sounded good on this tea which it is but it could be a little better I think. Fabulous tea. Mellow, earthy. I liked it as a base. . . Added cloves, cinnamon & crystalyzed ginger to add layers of spicey flavor. Great all on its own. This is such a delicious tea! Sweet enough without sugar and the aroma is heavenly. I was strictly a black tea bag user until I found Honey Bush, because I am not a big fan of green tea or strong herbal teas. I have been drinking this tea for 6 years since I discovered it at a restaurant in Buffalo while visiting my son. Upon returning home I did some research and found out a lot of valuable health information about this tea. I love that it is caffeine free, making it a go-to evening drink, but what I love the most is the flavor...mild with a delicate, slightly sweet honey whisper taste. I have been purchasing it here at Enjoying Tea.com ever since because I love their prices, packaging and the overall quality of their product. I like to blend this tea with a black tea, nice. great as a afternoon pick-me-up! Finally!! Excellent organic honey bush! I have been looking for a truly tasty honey bush organic tea for some time now. This tea has the sweet beginning flavor with the mild bite end note. I am very much "Enjoying Tea'! Thanks. I enjoy the flavour of this tea very much! I will certainly get this one again. Very smooth, mild brew. I was very happy with this. It was well worth the money. It is now one of my favorite night time beverages. This is one of my favorite decaf night time teas! Sweet enough to be a dessert substitute and perfect for enjoying in the evening with no fear of it affecting my sleep pattern. It's even nice chilled, making it a late summer night indulgence! Enjoy! !